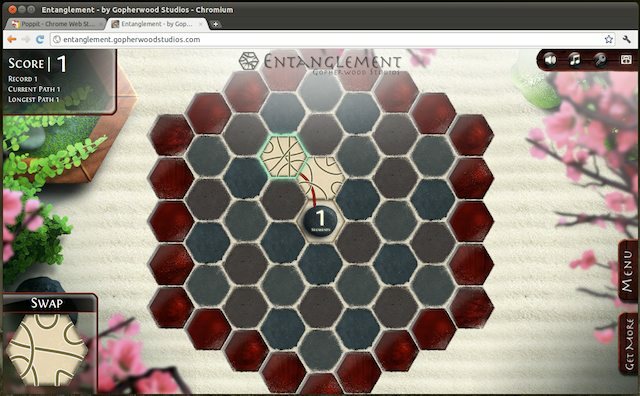 A couple of years ago, no one would have thought that we'd be playing games inside our browsers. But thanks to the advancements team Google has made in the webspace, we can see that becoming a reality. Gaming in the browser is definitely not as advanced as it is on your $2000 Alienware rig. 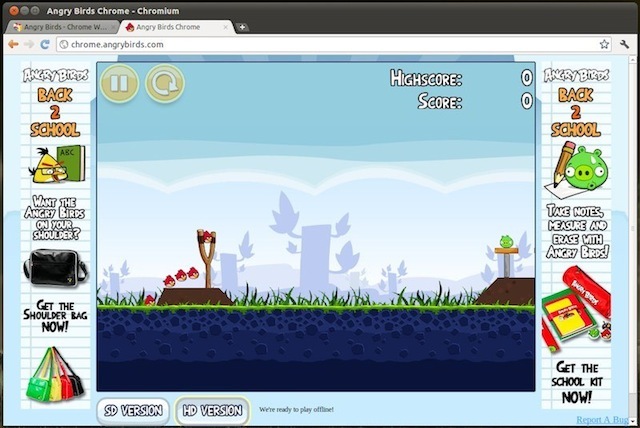 However, there are some enjoyable games you can download from the Google Chrome Webstore that will keep you entertained for hours. The snappy browser from Google is available across all operating system platforms. Hence, these games can be enjoyed even on our Linux desktops where the gaming scenario is not that well. Moreover, thanks to the syncing capability of the browser, once you install a game, you won't have to install it again on you other machine. Unless you've been hiding under a rock for a decade or so, you must surely have heard about this amazing game. Angry Birds is perhaps the most popular puzzle video game of the decade selling over 12 million copies since its launch in 2009. The game, which was originally released for iOS has received mass popularity with players logging more than 1 million hours of game time each day. In case you aren't aware what the game is all about, here's a quick overview: All you have to do is launch multicolored birds from a slingshot into various structures with as much accuracy as possible. That's it, there's nothing special to learn, no combo moves to remember, and no cocking your head to one side for hours just to clear a level. The sheer simplicity of this game is what makes it so accessible for everyone. Even for folks who have never played a single video game in their life. 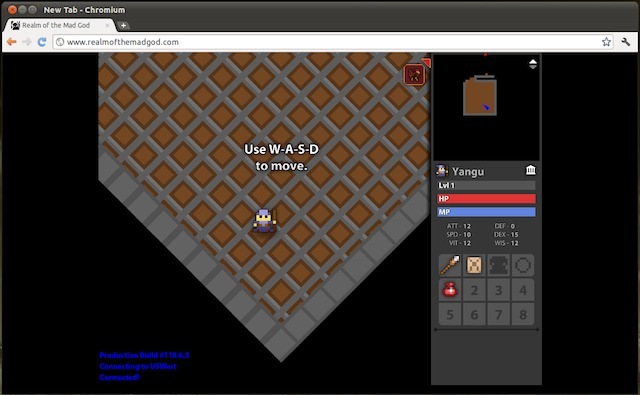 Just install this game for free from the Chrome app store and be prepared to waste at least 2 hours of your day today. You can either play Solitaire, that is in single player mode or you can play against 5 or less players on the same computer with hot-seat variation. The graphics and music combine to give the game a calm and Zen-like feel to the game. Even if you play this game for 2 hours or so, you'll feel relaxed at the end of it. -A thoroughly engaging game that's meant for everyone. Poppit is another great puzzle game that will help you get through a whole day in office; especially if your boss is someone like David Brent. 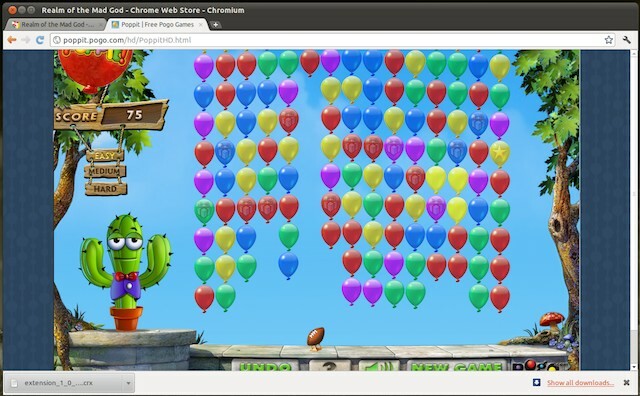 The EA game involves popping groups of two or more balloons of the same color to release captured prizes. You progress through the game by clearing screens filled with more multicolored balloons. The game is fun and entertaining and is something you or your kid can enjoy. This is a fun multiplayer game that will keep you clicking your mouse for hours. Realm of the Mad God is cooperative MMO shooter wherein you play alongside thousands of other online players in a quest to kill some wickedly dangerous enemies. The game starts with a small 2-minute tutorial and then you are thrown right into the action. Unlike other multiplayer games, this game involves you teaming up with other players instead of killing them. The enemy here is the evil Mad God and his dangerous warriors who'll make sure you won't win that easily. On the graphics front, the game is designed in true retro style with 8-bit pixels showing throughout the game. Leveling up is simple; just kill as many enemies as possible and yeah, survive. If you're worried about the game getting repetitive after a while, you're mistaken. The game features some nasty boss fights at various levels in the game so that you won't get out so easily. Just download it and start your quest to become a great warrior.